Vendor’s RFQ solicitation types and scoring in procurement process is a very common practice especially in Public Sector and in such scenario an organization should be able to track and enter the Vendor RFQ scoring. 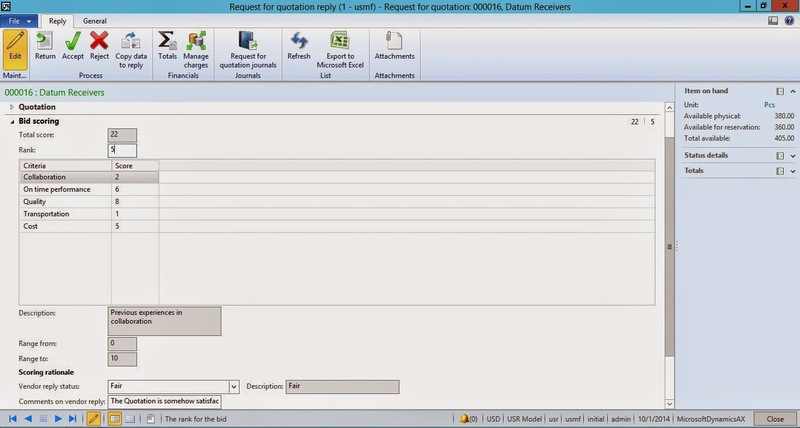 Earlier in Microsoft Dynamics AX 2012 R2, it was not possible to perform scoring or rating a vendor related to a Request for Quotation and these were always manual processes. 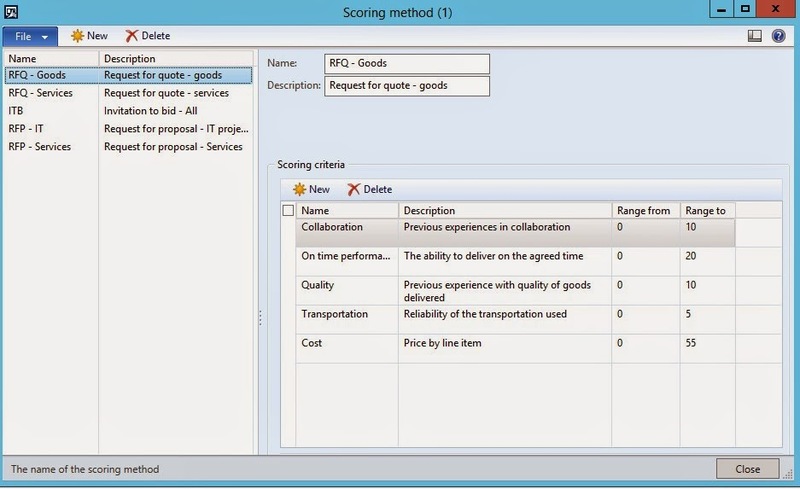 With Dynamics AX 2012 R3 it has been made very easy & simple with scoring functionality. Here we have the step by step training .... Lets Start with the few new setups. We can define multiple Scoring method according to need. 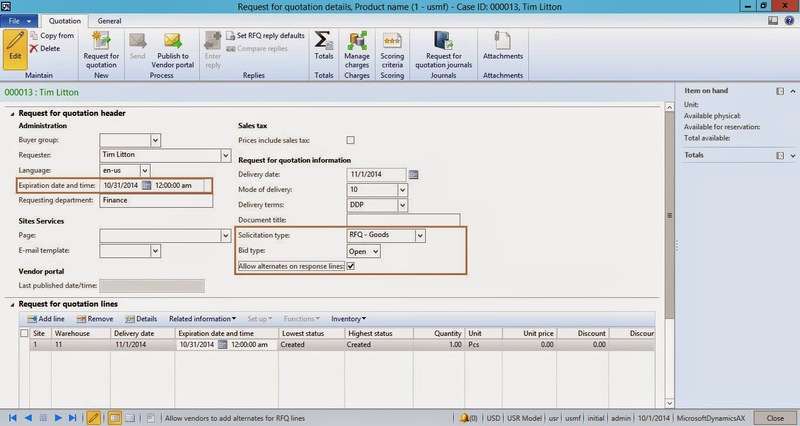 We can see the highlighted differences on Request for Quotation which we faced in Dynamics AX R3. 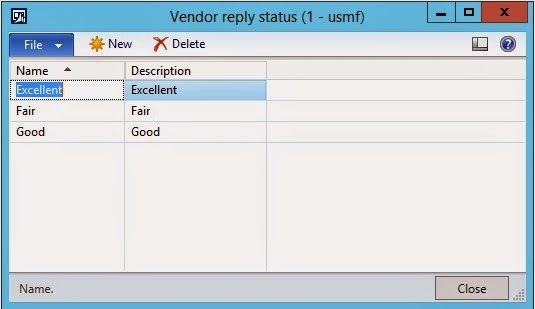 Allow alternate on response lines, this will be helpful if vendor provides alternative products against the request items. If this check box is not selected, systems will not allow to change the product at the time of Vendor Request for Quotation replies. User can modify the selected scoring method according to the need. User can add, delete or change the scoring of any defined criteria. User will enter the scoring against each criteria which are coming from the Criteria method. If user wants to add or edit any criteria, it will be done through the scoring scoring criteria screen as mentioned above. After the completion of scoring, we will see the comparison of RFQ based on theses Criteria. 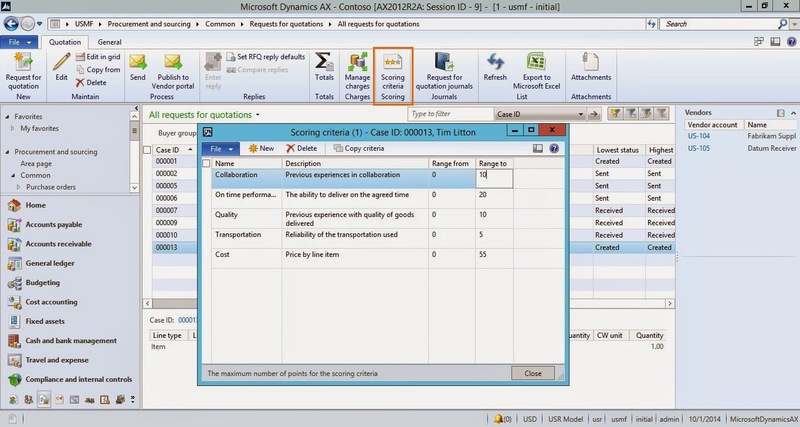 These are features that have been added in Dynamics AX R3. These are very common business practice in the industry especially in Public sector.